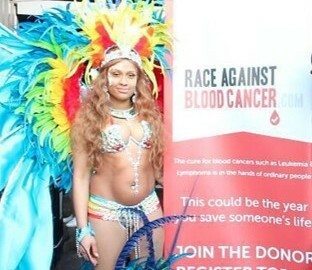 Positive energy and colourful vibes were what drove our Race Against Blood Cancer team to the Flagz Mas Band Carnival in Shoreditch in March to raise awareness for the #match4tommy campaign. There was no better way to change the future of those in need than by engaging with the crowd, dancers and families that came to the event. Our first ever video of the event says it all. Check it out!